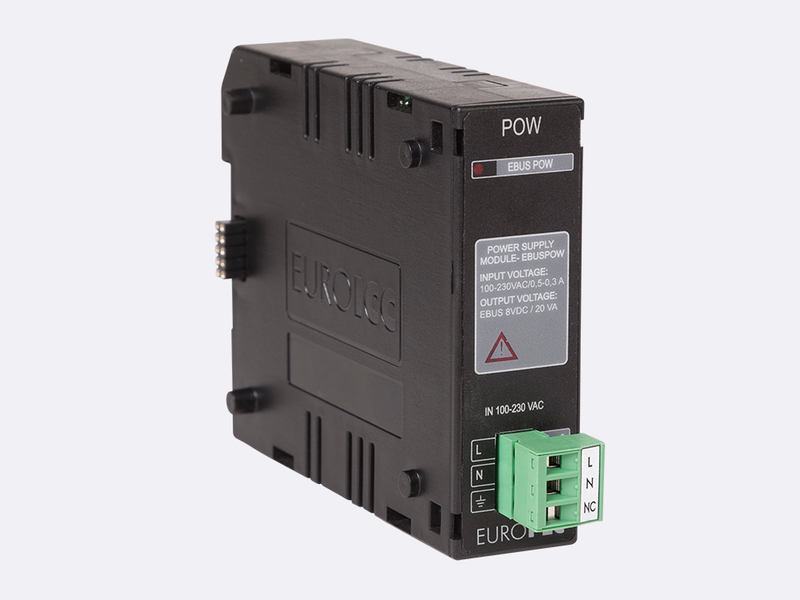 The M1.POW.01 power supply module is designed to convert electric power from the public home/indoor electric grid to voltage-stabilized DC power necessary for stable operation of EUROPLC devices. M1.POW.01 power supply module is implemented as switch mode`s power supply (chopper) with built-in galvanic isolation. The front panel of this module has an operation LED indicator and input power connector. 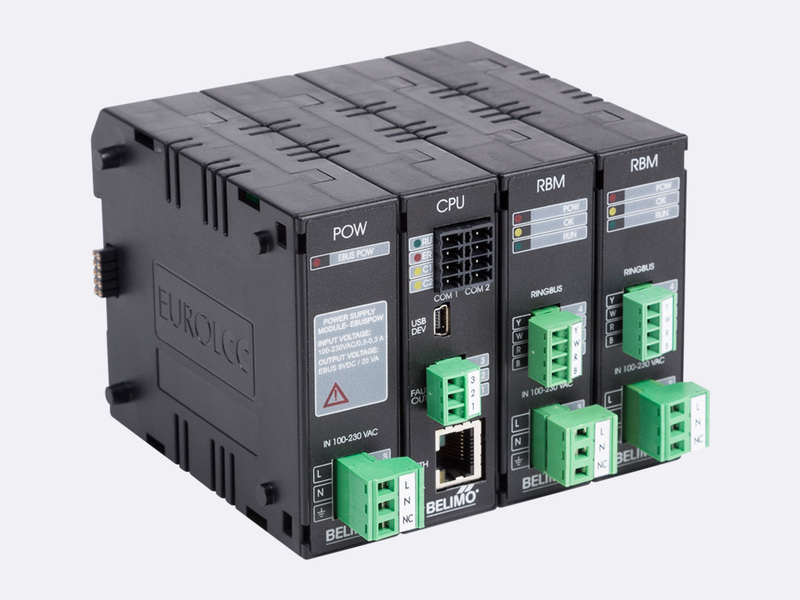 On the rear side there is EUROICC EBUS connector which transfers produced stabilized voltage over to other EUROPLC modules.